Warren East, Chief Executive, said: "In the context of challenging trading conditions our overall performance for the year was in line with the expectations we set out in July 2015. It was a year of considerable change for Rolls-Royce: in our management, in some market conditions and in our near-term outlook. At the same time, there were some important constants: the underlying growth of our long-term markets, the quality of our mission critical technology and services, and strength of customer demand for these, which are reflected in our growing order book." 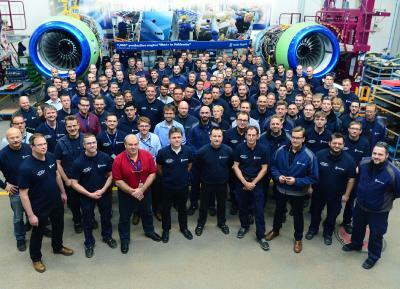 Commenting on the outlook, Warren East, Chief Executive, added: "Our outlook for 2016 is unchanged; despite steady market conditions for most of our businesses it will be a challenging year as we start to transition products and sustain investment in Civil Aerospace and tackle weak offshore markets in Marine. "The pace of investment required to transform the business creates near-term pressure on free cash flow. At the same time, we need to sustain a healthy balance sheet to ensure we have the financial flexibility to maintain a strong investment grade credit rating. As a result, the Board is recommending that the payment to shareholders is halved in cash terms at the full year and the next half year. We recognise the importance of a healthy ‘dividend’ to our shareholders. Subject to short-term cash needs, we intend to review the payment so that it will be rebuilt over time to an appropriate level. This reflects the Board’s long-standing confidence in the strong future cash generation of the business. "Our strong order book continues to grow, built around market-leading products and services. This provides us with an outstanding opportunity to deliver long-term profitable growth and capture significant incremental market share. The transformation programme is now well underway. This will add pace and simplify our business, making us a more resilient company. Overall, we have made a good start to the journey that will return the company to profitable growth." Photographs and broadcast-standard video are available at www.rolls-royce.com. 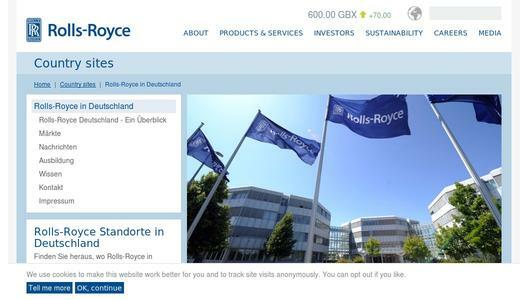 A PDF copy of this report can be downloaded from www.rolls-royce.com/investors. This Full Year Results Announcement contains forward-looking statements. Any statements that express forecasts, expectations and projections are not guarantees of future performance and will not be updated. By their nature, these statements involve risk and uncertainty, and a number of factors could cause material differences to the actual results or developments. This report is intended to provide information to shareholders, is not designed to be relied upon by any other party, or for any other purpose and the Company and its directors accept no liability to any other person other than under English law. A presentation will be held at 09:00 (GMT) today. Details of how to join the event online are provided below. Downloadable materials will be available on the Rolls-Royce website from the start of the event. Please use this same link to access the webcast replay after the event.